I had never heard of Los Alamos, nor the Bradbury Museum of Science, but I’m raving about it now. So, so interesting. Definitely worth making an effort to see, and I easily spent several hours in there. What an interesting place! The science museum was amazing and the highlight of my visit. Also seeing the buildings that were used during the Manhattan Project was great. I really didn’t expect too much from Los Alamos before coming but it turned out to be a nice surprise. Sehre girisimiz cok enteresan oldu. Nedeni de atom bombasi calismalarinin yapildigi yer olmasindan geliyor. Sehrin adi Las Alamos ama her yerde Secret City tabelalari var. Giriste guvenlik kulubeleri var otoban gecisi gibi ayni. Nick gorevliye kimligini uzatti, adam yuzumuze bile bakmadan beraberindeki yolcularin sorumlulugunu kabul ediyormusun dedi, evet cevabini aldi ve biz gectik. Adamin tipi de biraz enteresandi, ozellikle secilmis gibi. Allahim biz nereye geldik dedim icimden:) Sehrin en ilginc ve guzel binasi tamami kutuklerden yapilmis eski okul binasi, su anda muze. Binada atom bombasini icat edenlerin odasini gormek mumkun. Birde bilim muzesini ziyaret ettik. Pazar gunu oldugu icin ancak yarim saat gecirebildik. Pazartesi oglen yeniden geldik ve muzede iki devam eden ilginc calismayi ogrendik. Ikisi de beni hayrete dusurdu. Bir elbise dusunun sizi gorunmez yapiyor. Ikincisi de yine bir kumas kan sekerinizin dusmesi durumunda renk degistiriyor. Birde vucudunuza bir madde enjekte ediyorlar ve nerede kanser hucresi varsa gidip oraya yapisiyor, miknatis gibi. Kansere cozum degil ama dogrudan yerini gosteren bir enjeksiyon. Devam eden calismalari takip etmek isterseniz http://www.lanl.gov/museum/ tiklayin. The world changed at the small town of Los Alamos, which didn’t exist until after WWII. It was here where the Manhattan Project took place and some of the greatest minds in science collaborated to create the world’s first atomic bomb. The Bradbury Science Museum is a must-see. It has a thorough history of the Manhattan Project and the development of the atomic bomb. A 16 minute video is worth watching. It also tells about current research projects occurring at the Los Alamos National Laboratory. Admission is free. 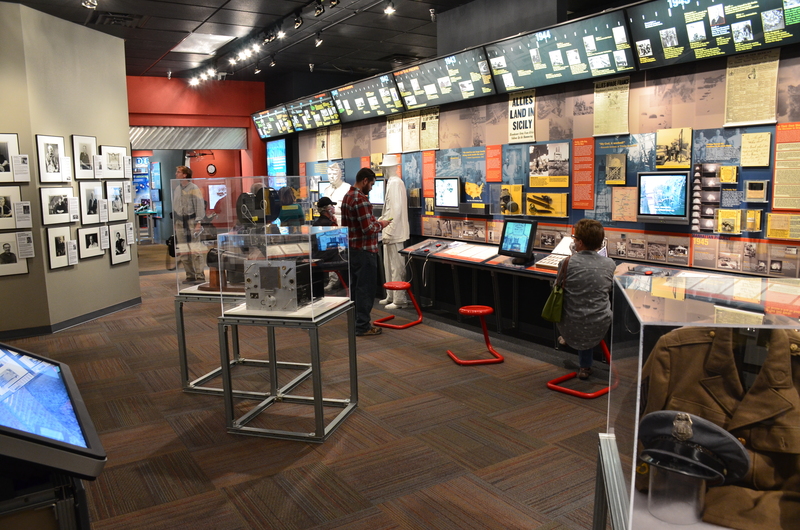 The Los Alamos Historical Museum gives visitors an overview of the history of the town. Admission is free. Many buildings from the Manhattan Project are still around. 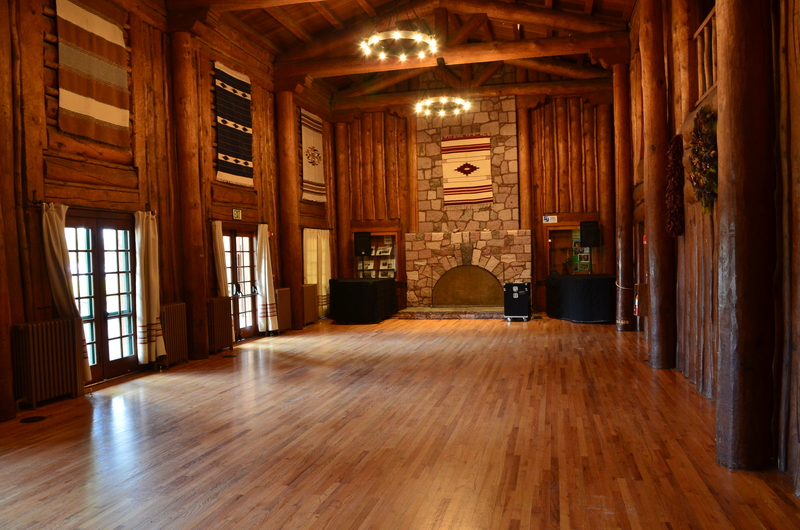 Fuller Lodge is where project members dined and met. It was built in 1929 as a Ranch School for boys. Bathtub Row is a series of homes which were occupied by scientists. J. Robert Oppenheimer’s home and Nobel Prize winner Hans Bethe both lived on the block. A historic walking tour takes you past Puebloan ruins and a homestead log cabin. Pyramid Café serves an eclectic mix of North African, Greek, and Middle Eastern cuisine. Thailand has good Thai food and friendly service at reasonable prices.